The crepes at Graziano’s are famous, and for good reason. 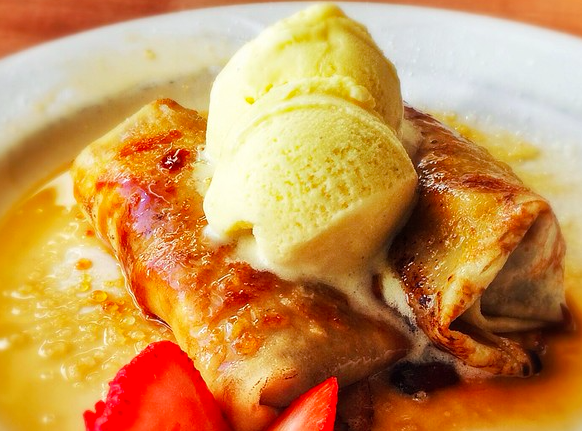 These super-thin pancakes celebrate simple, authentic flavors: dulce de leche, orange liquor, and vanilla ice cream. Although each ingredient is fantastic on its own, they are brought together to create a unique combination of flavors. The dulce de leche crepes are meant for those who have a sweet tooth, and they are the perfect way to end a delicious, Argentine steak dinner at Graziano’s. Although Tutto pizza is known for their great pizza and beer selection, their desserts are something special. Who doesn’t love Nutella, bananas, and strawberries all piled on top of a thin crust pizza? 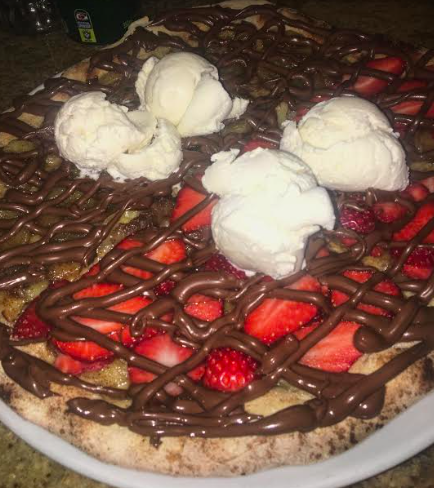 The chocolate pizza comes right out of the oven, so the Nutella melts and mixes perfectly with the bananas and strawberries on top. This dessert isn’t strictly on the menu, so make sure to ask your waiter for it when it’s time for dessert. The Samba Split from Sushi Samba is a very creative dessert to say the least. It’s a take on your classic banana split with a very Brazilian twist. 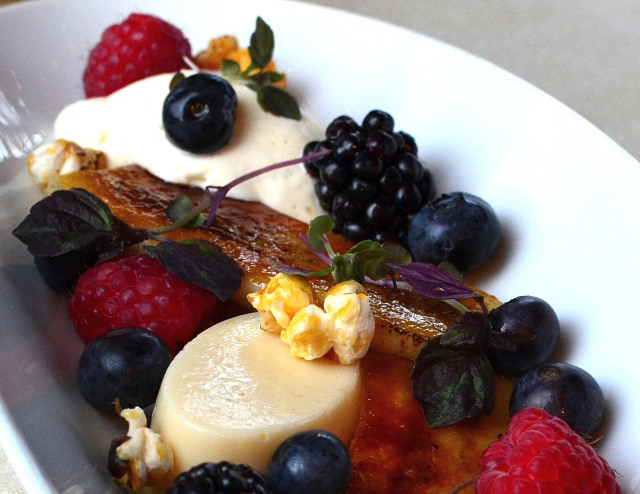 The dish has caramelized bananas, coconut flan, dried pineapple, caramel popcorn, fresh berries, and Japanese whisky whipped cream all atop dulce de leche ice cream. The dessert plays on different textures and flavors, making each bite a little mouthful of decadence. 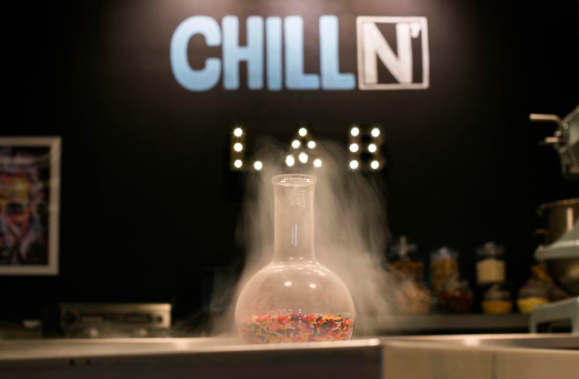 Nitrogen ice cream is a trend that popped up just in the last few years; the ice cream is made using a flash-freeze liquid nitrogen method on the spot. It sounds a little weird, but it’s the creamiest ice cream you’ll ever have. Walk in and you’re introduced to a menu that looks like the periodic table. Flavors have abbreviations, and you can choose several add-ins for your ice cream because what’s ice cream without the toppings? My personal favorite is the Chocolate (Ch) with chocolate chips, chocolate sprinkles, and extra banana. You can never go wrong ordering something with chocolate in it. At Nobu, the iconic, elegant Japanese restaurant, they do their chocolate fondant just right. 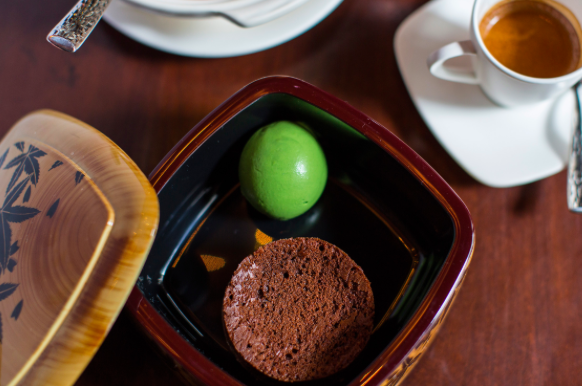 The Bento Box from Nobu comes with a Valrhona dark chocolate fondant and imperial matcha gelato. The balance of flavors in this dessert is perfect: the slight bitterness of the matcha gelato pairs with the richness of the chocolate lava cake. You might be in a food coma after ordering this, but it’ll be totally worth it. 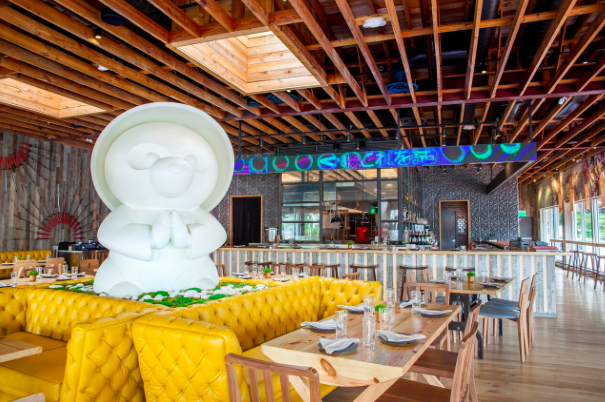 Eat Delicious Food Near University of Miami!